Total registered as exhibitor at Adipec. 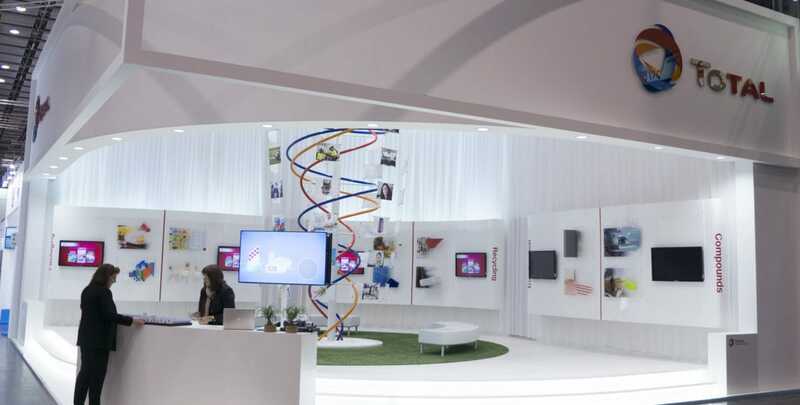 Based on our international business to business experience in design, live communication and brand experience Total Head Quarters contacted us at Plant the Brand. The briefing was straight and quality driven: focus on brand, elegant, white and contemporary. We have translated this briefing into a spectacular design and artwork creating a recognizable corporate brand experience including curved glass and a clean layout; no doubt this is Total! The limited amount of space has been used to the max by creating a downstairs theatre and an upstairs VIP room, the high wall covering the stairs clearly showed Total’s long lasting relationship with the UAE. 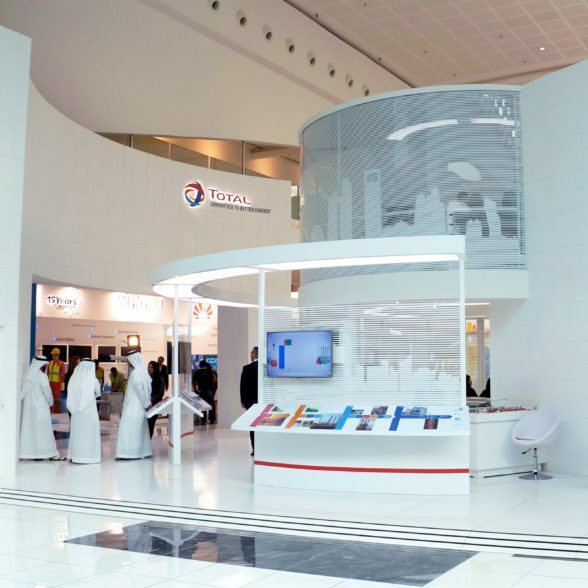 Although time between the Adipec and the K-fair was almost a full year and given the fact that both parts of Total share only a common brand name, we at Plant the Brand decided the K-fair customer relation experience should have the same style as the Adipec customer brand experience for the purpose of creating a strong recognizable elegant international Total brand. 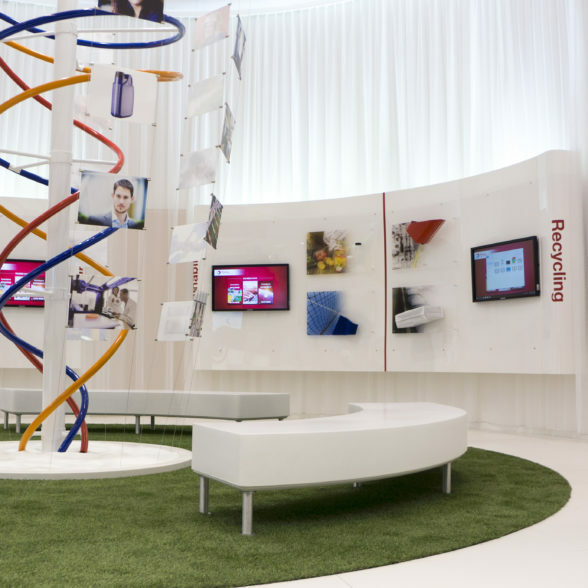 We created a very open contemporary design and artwork with curved panels, screens and parts of Total’s product portfolio. For the K-fair the hospitality area was an upstairs business lounge outside of the actual customer brand experience. A clean but inviting and branded meeting area where people could also relax and work during the show without the fuss and noise of the trade show visitors. The production, on site delivery, live communication components as well as invitations and relationship management was handled by us at Plant the Brand. Our challenge has been the definition and development a uniform distinctive recognizable brand by uniting two completely different parts of the same company at different times and different places.